It took us months to plan the itinerary around Iran. 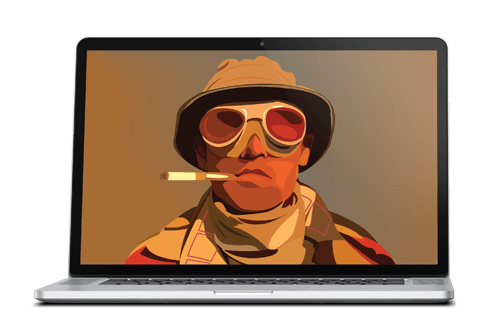 Weeks to select the best spots we want to see. But only after a few days in the country we were forced to take a tough decision: extending our two-week trip to a full-scale one-month journey. The reason is simple: must-see places were too many, and too diverse to miss out. 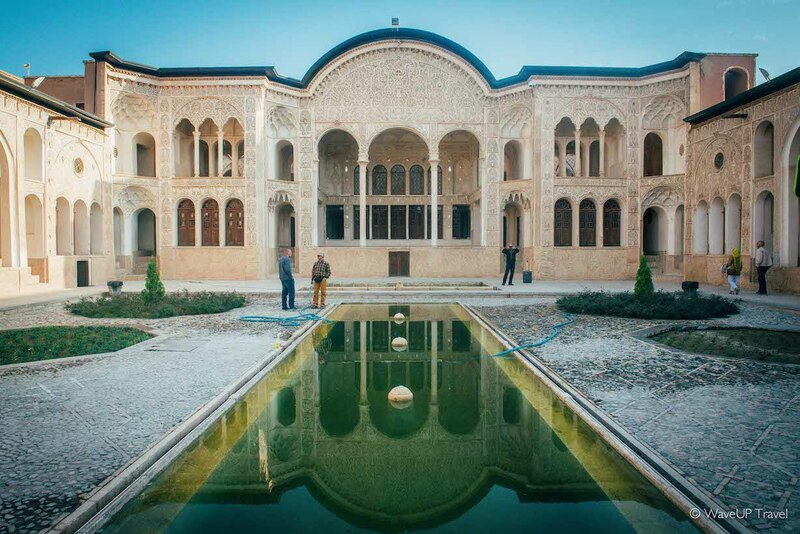 From our travels – we select 10-best places you have to visit on your trip to Iran. Masuleh village. Mysterious foggy village lost high in the northern forests. With ocra houses standing on each other, and occasional people appearing in the narrow staircases and lanes between the buildings. Pick a time off-season to avoid crowds of tourists – and you will guarantee yourself a magical experience. 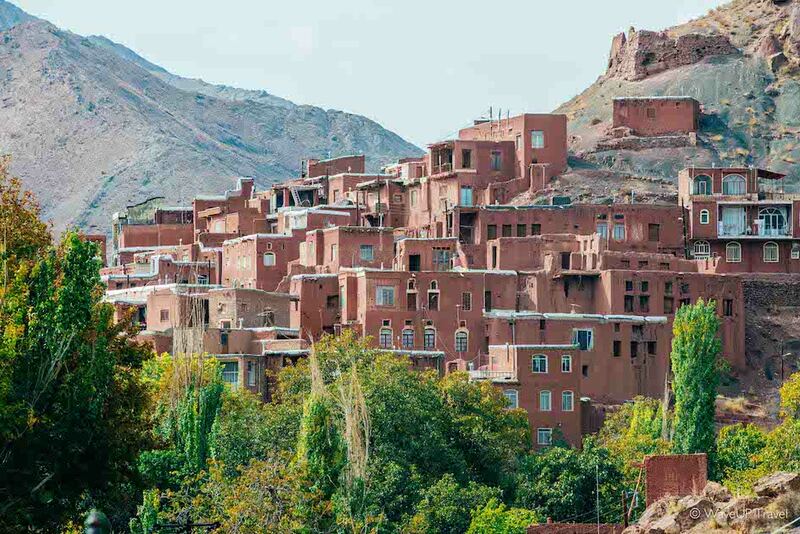 Traditional houses in Kashan. The city is a tourist spot in itself – lost in the desert it reminds of the all-time childhood favourite Alladyn. A true jewel here – traditional houses of wealthy merchants that have now been turned into public museums. Elegant stained windows. Delightful wall paintings. Long corridors and stunning décor. An a stunning view on the sand city from the marvelous rooftops. Tabriz bazaar. UNESCO World Heritage Site and one of the oldest bazaars in the Middle East. The largest covered bazaar complex in the world – with stunning décor and incredible complex of domes inside. 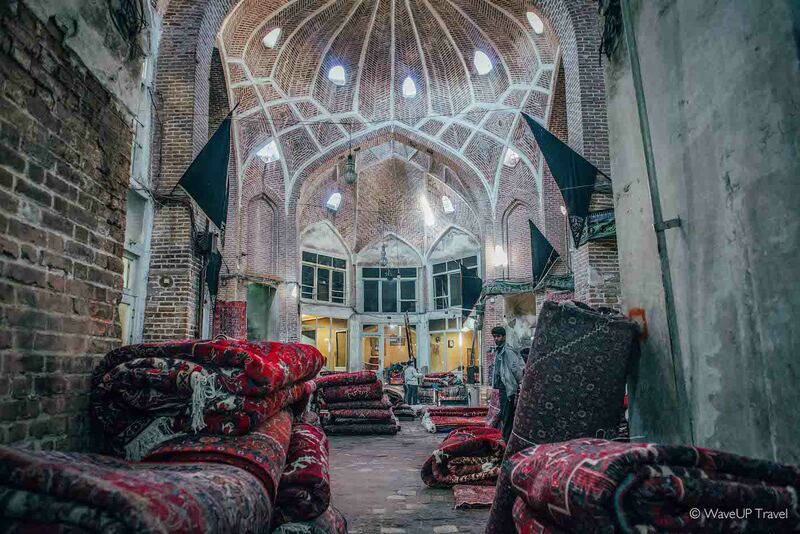 Being an important historical center and place of cultural exchange, in the past it was also a place of political significance – Tabriz bazaar has been a crucial spot during Constitutional and Islamic revolutions. Abyaneh village. A charming red-coloured village lost in time. Wandering around you barely see any people – among the abandoned buildings you only occasionally get a glimpse of the someone hiding in the narrow alleys. Even then – the feeling of being in the past does not disappear. For years now people here have not changed their lifestyle. Same style clothes, same traditions, same Zoroastrian religion. 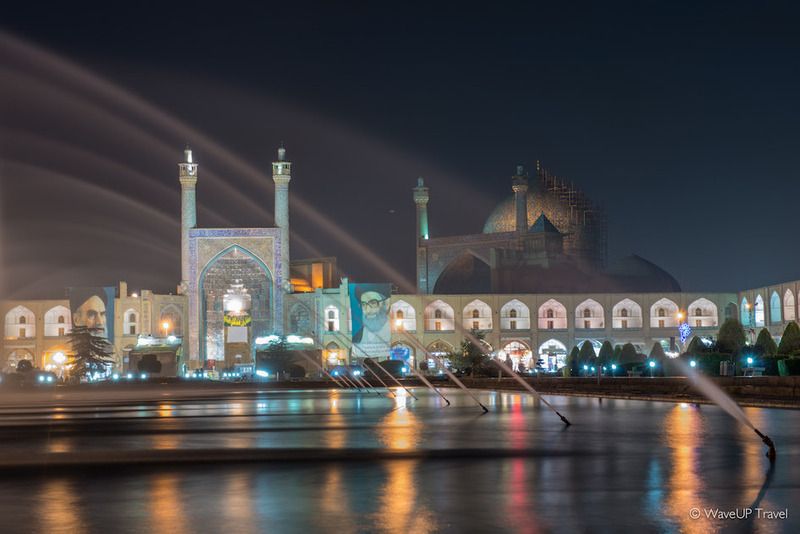 Esfahan bridges. 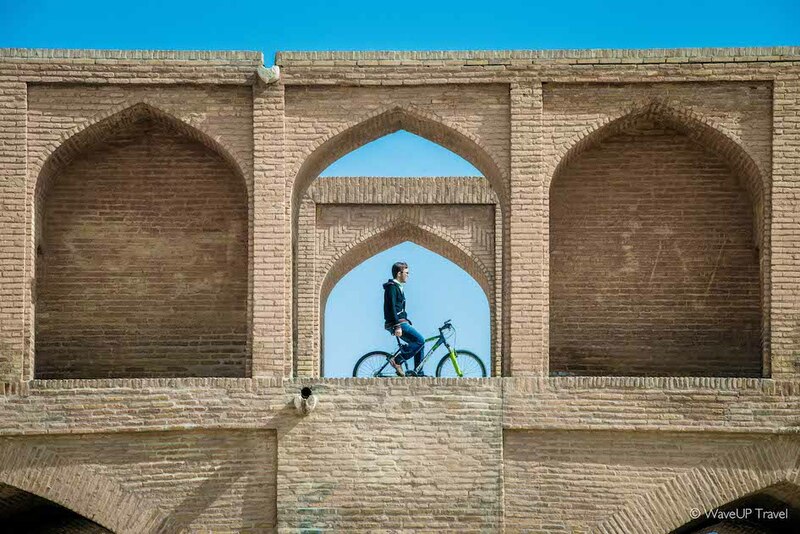 Architecture in Esfahan tops anything you have seen before, and bridges are not an exception. 300-meter artwork challenges the imagination. Being favorite meeting spots among locals these bridges are like small cities – for hours you can observe the life passing by on its multiple passages. Wind catchers in Yazd. 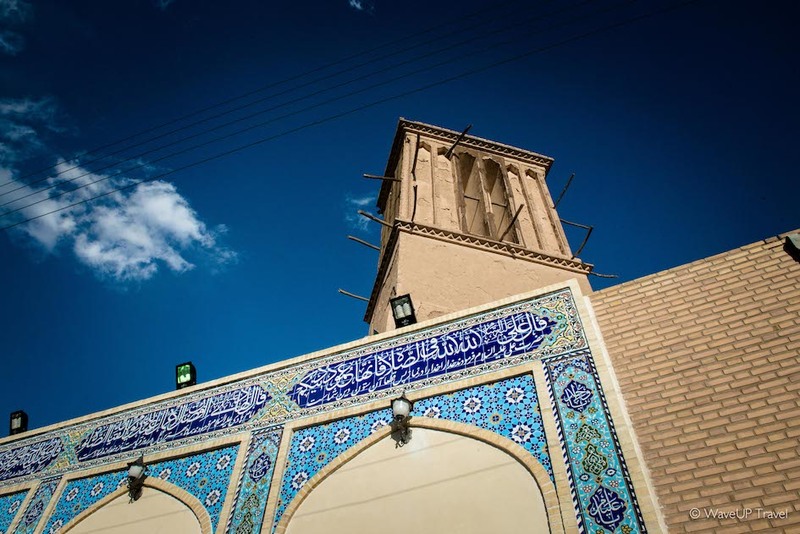 A desert city of Yazd is famous for its ancient wind catchers – traditional architecture elements that helped to create natural ventilation in buildings. The invention was so effective it spread to the whole Middle East – and became the main refrigerating device in local architecture. Persepolis. The city that was built as a palace worthy the Empire. 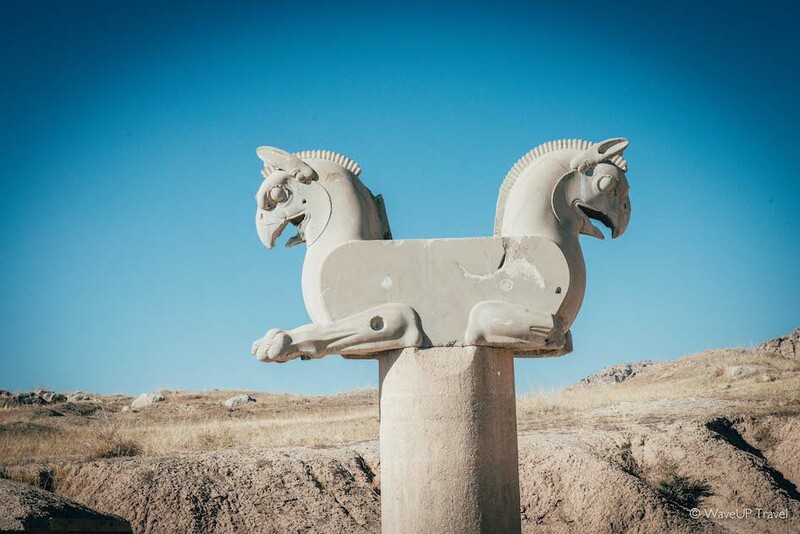 Majestic capital of Persia with the only suitable name – Persepolis, “The city of the Persians”. The city was destroyed to the ground by Alexander the Great – but the history continues to live here among the remains of bricks, walls and columns. US Den of Espionage. The former US embassy, today it is one of the most interesting spots in Tehran. Its historical significance cannot be undermined: events taking place here had a dramatic and profound influence on Iran. 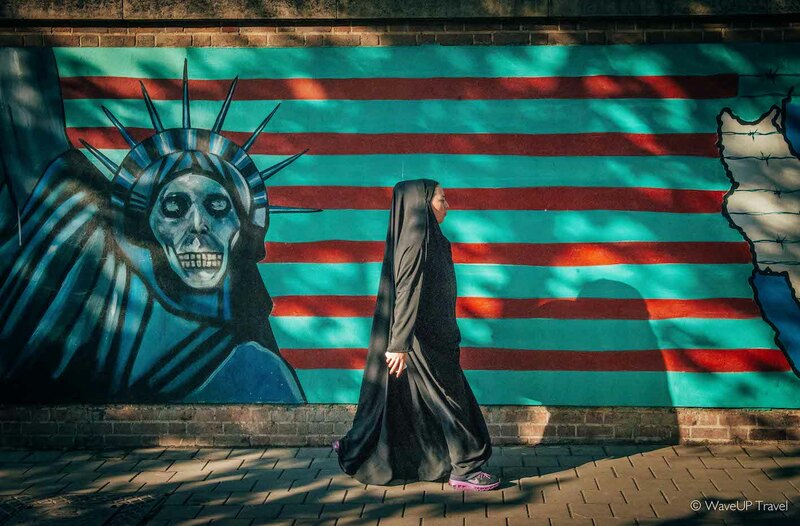 The paintings at the walls around the embassy are even more interesting: portraying US and Israeli as big evils, there is even one where Statue of Liberty is rendered as a skull. Kandovan village. A settlement that is frequently compared to Cappadocia in Turkey is much less touristy – and arguably more charming. 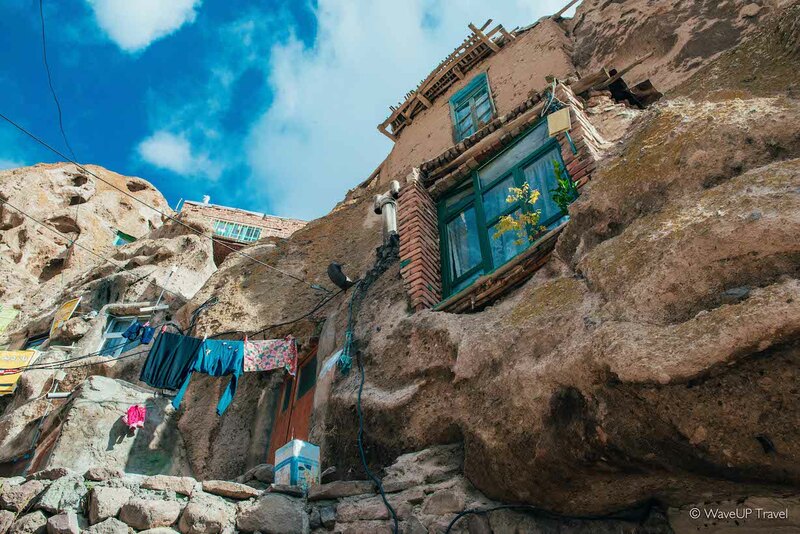 Homes dug in volcanic rocks remind of Hobbitland or Smurfs village – and make a great choice for a day trip from Tabriz. Esfahan city center. The beauty of the magnificent Imam Square cannot be praised enough – it has to be seen with one’s own eyes. Around the square, its mosques and palaces – one of the oldest and largest bazaars in the Middle East, dating back to the 17th century. 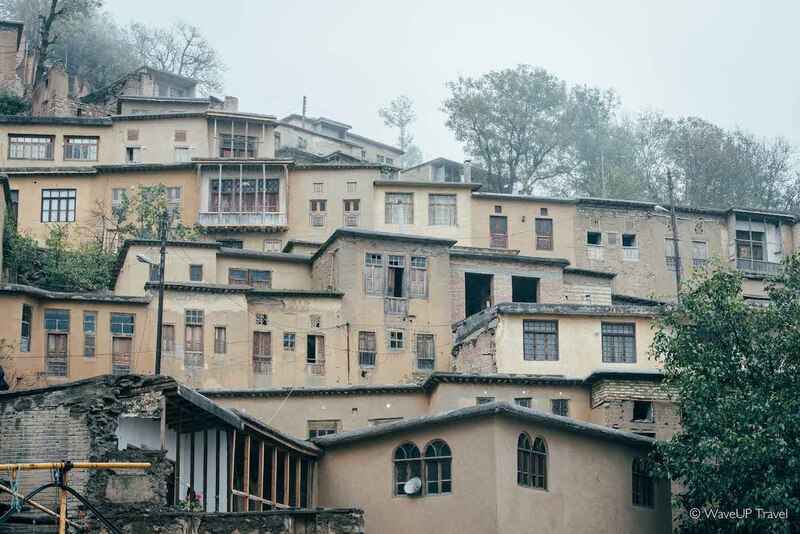 You can spend hours here shopping for traditional rose water sweets or splendid blue copper plates, and – if you are tired, – unwind with a meal in atmospheric Bastani Traditional Restaurant or kalyan at Azadegan teahouse. im so happy to see so many people are curious about my country and its details . hope in near future more people know about its reality. i would be more than happy to help anyone who is interested to get more information about my country and its culture.